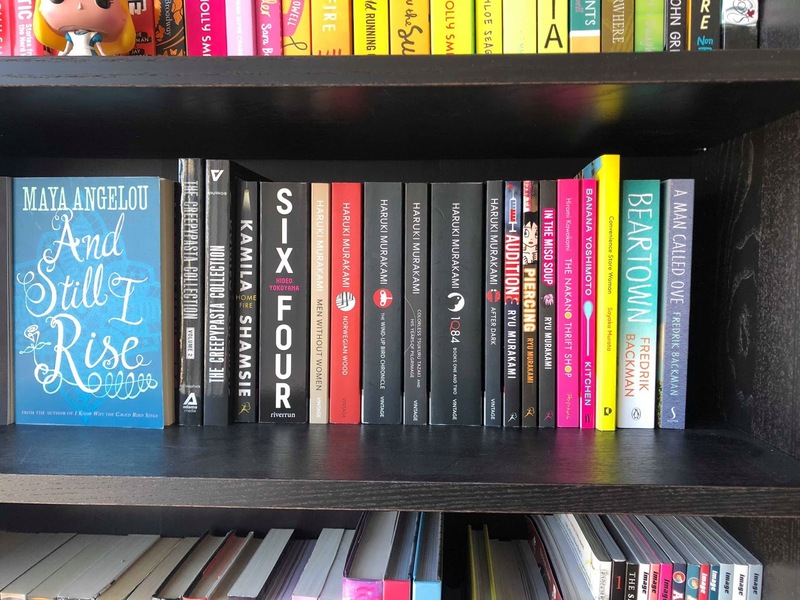 My love for young adult literature is no secret, but if you read my recent blog post on Changes you will know that my reading tastes have changed slightly, as part of this I've been expanding on the genres of books I have been reading. Whilst on my little reading journey I read a lovely book called Convenience Store Woman which was originally published in Japanese and was recently translated to English after my amazing book seller friend Sasha raved about it to me. I enjoyed it so much that it inspired me to pick up more titles by Japanese authors, which in turn has got me more interested in translated texts from all over the world. It's turned into a mini challenge for me and I am really enjoying it, seeing the different literary techniques that are popular as well as other cultures in a book is great. Haruki Murakami (Japanese): As you can see I have quite a few books by Murakami on my shelf. My husband got me my first Murakami book for my birthday and my collection has just grown since there! Murakami has been hailed as 'among the world's greatest living novelists' and his novels are a mix of magical realism, surrealism and science fiction. So far I've only read Men Without Women, which is a collection of short stories about men who have lost the women in their lives and I loved it! IQ84 has been thoroughly recommended to me too as many of my friends favourite books so I can't wait to delve into that. Ryu Murakami (Japanese): I've actually read all of the Ryu Murakami books on my shelf and to say they are dark is an understatement. All the books I have are on the short side (250 pages or less) and explore the darker side of Japan. If you are a fan of books with troubled main characters and have a strong stomach, Ryu Murakami is definitely one to check out and is great at showcasing the cultural differences between Japan and Western countries like the UK. I would recommend starting with In the Miso Soup if you are interested as it's not as shocking as the other ones I've read. Fredrik Backman (Swedish): Fredrik Backman is a Swedish columnist and writer and I'm sure many of you have heard of A Man Called Ove as it was a massive hit in recent years, what not everyone is aware of though is that his novels have been translated from Swedish to English. Even though Sweden is not that far away, there are still differences between Sweden and England. The novel I started with is Beartown which I absolutely adored and recommend to everyone. It's a perfect study of people and I went through all the emotions reading this book. The setting is in a very rural Swedish town in a forest, which I found fascinating as I have always lived in a big city. There are so many more international authors I would love to read, Han Kang who wrote The Vegetarian and Human Acts is on my list but let me know if you can recommend any other authors to me as I would love to explore more! This sounds like a great way of challenging yourself. I haven't read many translated texts in my 28 years but it's something I keep meaning to do.